Every day, many consumers are unknowingly using cosmetics that have been unreliably tested on animals. As they reach for the mascara, they don't realize that rabbits may have endured having cosmetic chemicals dripped in their eyes, or that mice may have been force fed the raw ingredients of the shampoo they used to wash their hair this morning. Thankfully, consumer awareness of unethical animal testing practices is certainly growing, and companies are paying the price as consumers are leaving their products on the shelf and choosing cruelty-free brands instead. But still, too many people remain unaware of the animal suffering that lurks behind the label. #BeCrueltyFree Canada Beauty Ambassador and cruelty-free makeup artist, Cait Mizzi, is helping to shed light on the ugly side of the beauty business. As a professional makeup artist in Canada's fashion industry, Cait recently joined Humane Society International's #BeCrueltyFree Canada campaign to connect with consumers and illustrate how easy it is to shop cruelty-free. But while everyday consumers are switching on to cruelty-free beauty, consideration of animal testing remains rare in the high-end fashion industry. One of Cait's primary objectives is to help bring our #BeCrueltyFree campaign to the world of catwalks and cover shoots. With that aim in mind, Cait brought together some of Canada's best fashion talents for an awesome fashion shoot for FAJO magazine to shine a spotlight on the cruelty that animals endure for our beauty. 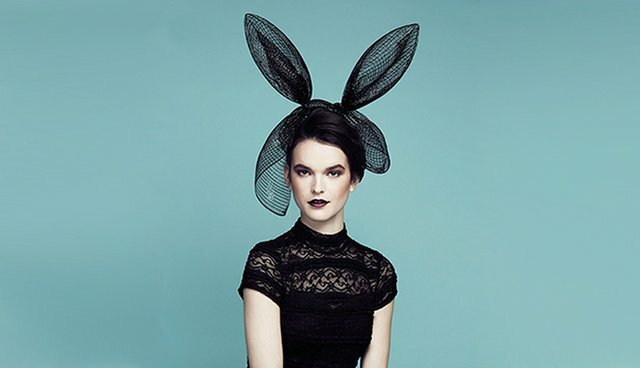 Zoe Colivas, one of the most popular models in Canada right now, took center stage wearing one-of-a-kind handmade bunny ears. Rabbits are the most widely used animal in cosmetics testing, since they have large eyes and no tears to wash away the chemicals. For the first time, these stunning photos are taking a strong message about cosmetics cruelty directly to the heart of the fashion magazines. Our #BeCrueltyFree photo shoot even graces the FAJO front cover, so it's front and central on the newsstands. Canadian law doesn't require cosmetics animal testing, but it doesn't prohibit it either, so companies are free to choose. As well as causing animals harm, such testing is completely unnecessary because cosmetics are easily produced without suffering. A plethora of cruelty-free brands such as Lippy Girl, LUSH, and Cake Beauty do it every day, by choosing from the thousands of existing safe ingredients combined with 21st century non-animal tests that offer more reliable results. Cait's beautiful #BeCrueltyFree images will remind a new audience of consumers that there's nothing fashionable about cosmetics cruelty.